Auckland police are patrolling the Ponsonby area after a man grabbed the arm of a 12-year-old school girl this morning and made a lewd suggestion. The girl aimed a swift kick to his groin, causing him to loosen his hold and she ran off. The incident took place in Douglas Street at around 7.45am. The man is described as being scrawny, possibly in his 40s, of unknown ethnicity but with an orange hue to his complexion. He's short and had long grey or silvery hair and was wearing a grey sweatshirt with large pockets on the front. 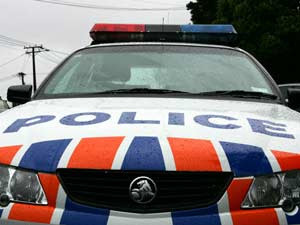 A 12-year-old girl kicked a man in the groin to escape his sexual advances in the Auckland suburb of Ponsonby today. The man approached the girl as she walked to school along Douglas Street before 8am. Sergeant Paul Black, of Ponsonby police, said the man allegedly grabbed the student by the arm and made a lewd suggestion before she kicked him in the groin and ran to school. Police were called by the school deputy principal and searched in vain for the man. He was described as of unknown ethnicity, scrawny, possibly in his 40s, about 165cm tall with long grey or silver hair and with an orange hue to his complexion. He was wearing a grey sweatshirt with large pockets on the front. Mr Black appealed to anyone who knew the man or had information about someone fitting the description to contact police or phone Crimestoppers.